If the actions or negligence of another person have caused injury to you or someone you love, or have led to damaged property, the Law Offices of W. Keith Williams, II can help you seek monetary compensation. This compensation can be awarded for a variety of reasons; property damage, medical expenses, lost wages, and for the pain and suffering you experienced as a result of your injury. Every personal injury case is covered by a statute of limitations, which means that you must either settle your claim or file suit within a certain amount of time following your injury or else you lose your right to sue. It is essential that you contact our office as soon as possible so we can consult with you about your legal rights. At the Law Offices of W. Keith Williams, II, we have negotiated many sizable settlements for victims of motor vehicle cases. The roads are dangerous enough without negligent drivers making them more so. People who are paying more attention to their cell phone conversations than they are to the road can be a hazard to other drivers. Add to this the hazards of drunk drivers and defective parts on some vehicles, and even the most alert of drivers may not be able to escape an accident. 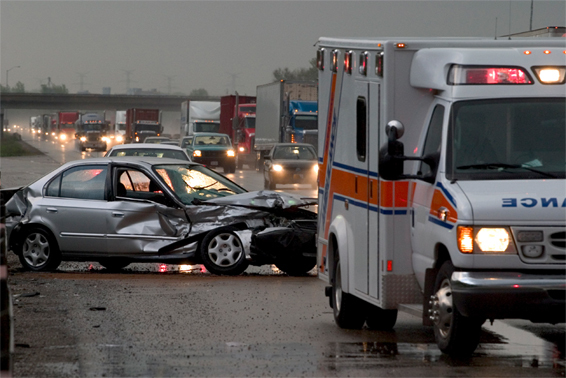 When you have been in an accident, we are prepared to fight for the protection of your legal rights. Motorcyclists are more likely to go unnoticed by other motorists who are not paying attention. Without the protection provided by an automobile, motorcyclists often suffer much more serious injury in the event of an accident. The low profile of motorcycles is no excuse for a driver’s negligence. If you have been injured in a motorcycle accident, our law office can help you seek the financial compensation you need and deserve. Negligent drivers are not just a danger to other motorists. They are also a hazard for pedestrians. If a motorist is drunk, driving recklessly, or is not paying attention, he or she can easily veer into places where pedestrians are walking, causing serious injury and even death to the people that he or she strikes. If you or a loved one has been hit by a negligent driver, we can help you hold the driver accountable.